Most people have heard about joint replacements, but antibiotic prophylaxis is another matter entirely, and the average person is likely to be completely unfamiliar with it. However, if you happen to be a person who has undergone a joint replacement in the past, you are more likely to have heard the term several times. Antibiotic prophylaxis refers to the taking of medications prior to having some kind of dental procedure performed. This could be a root canal, a tooth extraction, major teeth cleaning, or perhaps a deep cleaning process between tooth roots and gums. The reason that antibiotic prophylaxis is necessary, is that any of these dental procedures can cause bacteria to enter the bloodstream. This may not be a problem for people who have very healthy immune systems, but it can lead to infections or inflammation when the immune system is not functioning optimally. In fact, many cardiovascular diseases are now thought to be either triggered or worsened by bacteria entering the bloodstream, possibly via the mouth. In order to make a clearer association in your mind, it might be useful to substitute the word pre-medication for prophylaxis, since pre-medication with antibiotics is the process which protects against the possibility of bloodstream bacteria. As recently as 2012, it was necessary for this kind of antibiotic pre-medication before conducting dental procedures on patients who had undergone joint replacement. 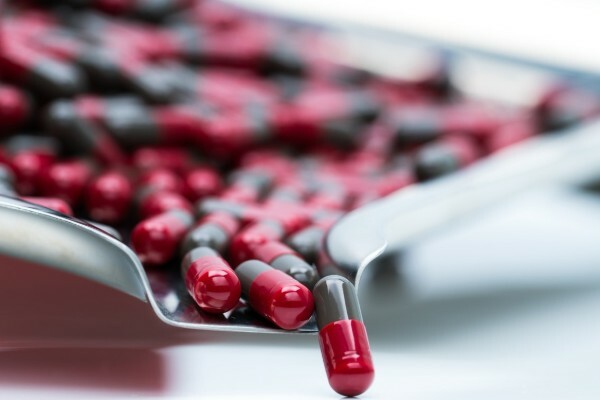 In 2012, the American Dental Association issued an updated guideline on the subject, stating that dental professionals could safely consider omitting the practice of prescribing antibiotics prior to performing dental procedures. The reason this updated directive could be issued was that the ADA had come into convincing evidence that there is no direct link between dental procedures and infections which can occur during joint replacements. That meant there was no real need or value to prescribing antibiotics to prevent infection. Going a step further, the ADA also mentioned that pre-medicating with antibiotics would not outweigh any value gained from infection prevention. Many patients are, in fact, significantly bothered by some of the side effects of antibiotics, including nausea, vomiting, and severe allergic reactions. It would also be possible for patients to develop resistance to antibiotics, thereby diminishing their effectiveness when needed for other medical conditions. Patients above the age of 70 are also known to be at greater risk for experiencing mild to severe side effects from antibiotics. Is anyone helped by antibiotic prophylaxis? There are some situations where a patient can be helped by antibiotic pre-medication before undergoing a dental procedure. One good example would be patients whose immune systems have been in some way compromised. Many people are subject to the symptoms of diabetes, chronic steroid usage, chemotherapy, cancer, and rheumatoid arthritis, as well as other immune system weaknesses. When an orthopedic implant procedure is carried out on such patients, there is definitely an increased risk of infection, because the immune system is not as capable as it should be, and cannot fend off possible infections. In most cases, any risks of administering the antibiotics for such patients would outweigh any side effects likely to be experienced. To be sure whether you fall into this group or not, you should consult with your dentist prior to any major procedure, especially if you have had some kind of joint replacement. It should be noted that patients who have prosthetic joints installed are not the only grouping of patients who are at risk of infection during a major dental procedure. The second grouping of patients identified by the American Dental Association includes individuals with certain kinds of heart conditions. When those heart conditions have a tendency to predispose patients to infectious endocarditis, it places the individual in the overall grouping of those who would benefit by antibiotic prophylaxis. Endocarditis is the condition where bacteria in the bloodstream attaches itself to tissue around the body, in this case centered somewhere around the heart, and then develops into infection. Chances are, you would not fall into one of the two groups who would benefit by antibiotic prophylaxis prior to a dental procedure, but it is definitely something you should discuss with your dentist. If you have questions about antibiotic prophylaxis, Good Samaritan Dental Implant Institute would like to hear from you. It is better to be informed and know whether or not you require antibiotic prophylaxis or pre-treatment, than go into a procedure blindly and have a negative outcome. Good Samaritan Dental Implant Institute always takes extra care in performing procedures in the best interest of our patients. Gratefully serving all of South Florida, including West Palm Beach, Miami, Fort Lauderdale, Orlando, Palm Beach, Boca Raton, Pompano Beach, Hollywood, Pembroke Pines, Riviera Beach, Lake Worth, Boynton Beach, Port St Lucie, and Jupiter.